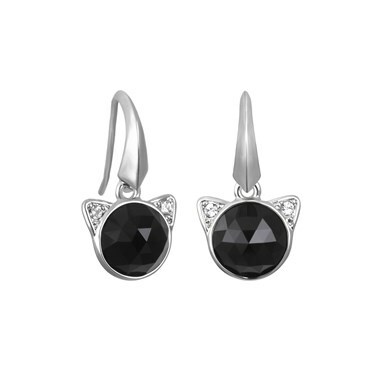 Make a true fashion statement with these sparkling earrings from Karl Lagerfeld. Effortlessly cool just like their designer, these drop earrings are crafted with a rhodium plating and feature vivid Swarovski crystals. Was really pleased with these. Small enough to wear everyday without annoying you, but dressy enough for going out. Lovely quality and will go with anything.